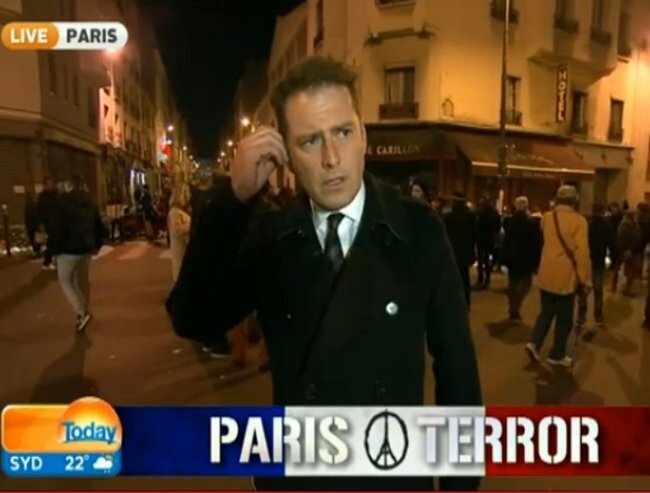 Karl Stefanovic - The number one story this year has been terrorism. 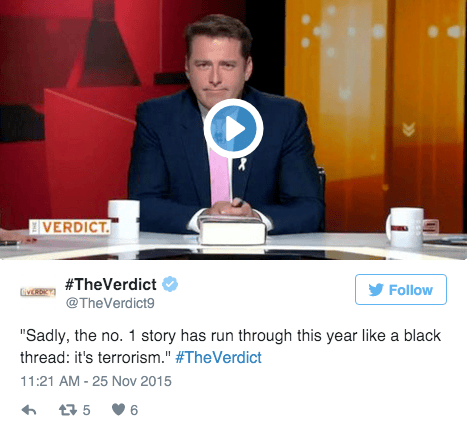 Karl Stefanovic’s new political show The Verdict wrapped up its first season tonight with a countdown of the news stories that made 2015. Clocking in, sadly, as the number one story and the most significant for the year as ranked by viewers, was terrorism and the rise of the Islamic State. Describing the stories of terrorism as a “black thread” that had run through the last year, he said it has been shocking for Australians. “Australia, still shocked the siege at the Lindt cafe, witnessed the murder of Curtis Cheng and dawn raids on terror suspects,” Karl said. “And then Paris suffered again the Islamic state attack on cafes, a stadium and a concert. Well said Karl. 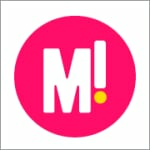 We are with you.